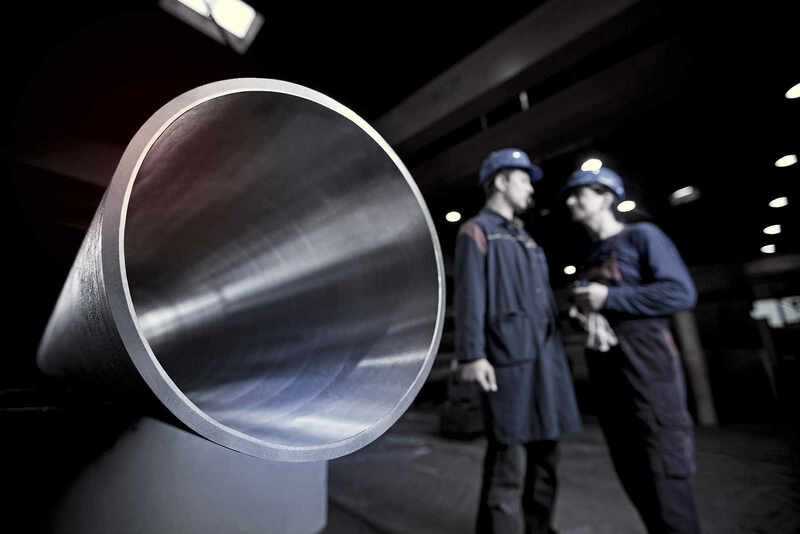 EEW Special Pipe Constructions GmbH is pleased to announce that it has received an order from the Danish energy group Ørsted to produce 165 monopiles for the Hornsea Project Two. The contract was signed at Ørsted's London office on 6 July 2018. Heiko Mützelburg, CEO/Managing Director of EEW SPC says: "Ørsted and EEW SPC have successfully completed many projects together in the past. We thank Ørsted for the trust they have placed in us again. As with all previous projects, the same high safety standards will be embraced for this new order. It is a good feeling and makes us proud to be part of Ørsted's vision to help create a world that runs entirely on green energy". The 1386 MW offshore wind farm, Hornsea Project Two, is located about 89 km off the coast of Yorkshire in Great Britain. When completed in 2022, the park will be capable of providing electricity to well over 1.3 million households and will be the world's largest offshore wind farm. Production at EEW SPC is scheduled to start in September 2019.